Pakistan Cardiac Society was established in 1966 by Col. M. H. Shah with the help of Dr. AH Muhammad, Prof. Rauf Yusuf and other cardiac physicians and surgeons at that time. Dr. Ali Mohammad Chaudhry started publishing Pakistan Heart Journal in 1968. The Society was active till 1971 and the Journal was regularly published, however, after Indian aggression against. 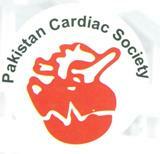 East Pakistan the activities of the Cardiac Society ceased as well the publication of the Journal was disrupted.